colors. 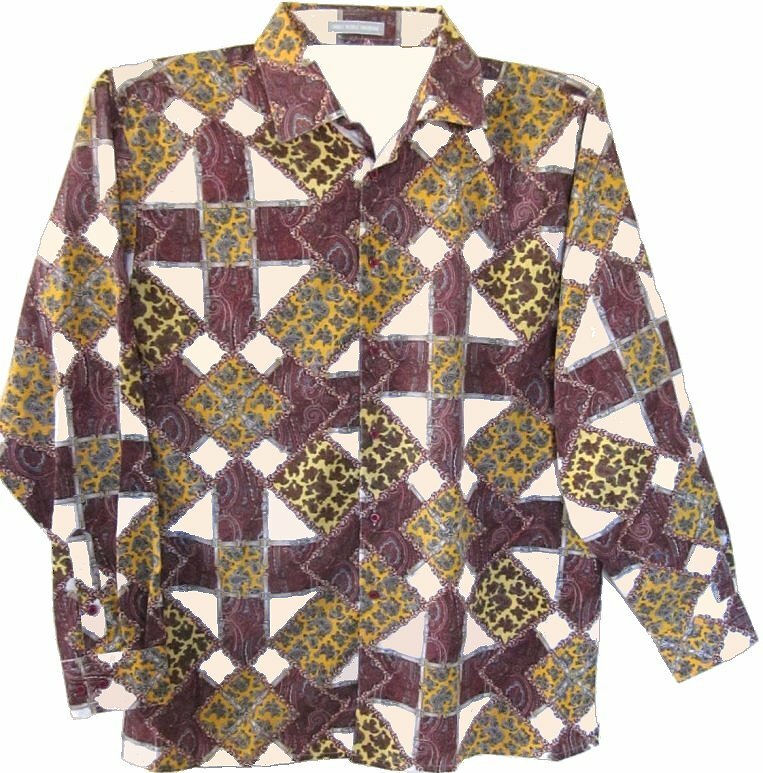 It could pass for an actual 70s shirt. One shirt measures 48" around at armpit level for a loose 44" or today's large fit. Another shirt measures 53" around for a 50 fit. The length is 34". The sleeve is 34".